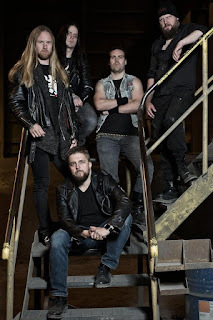 The Crown Releases New Single "We Avenge"
The Crown has now released the third single taken off their album "Cobra Speed Venom" titled "We Avenge!". "We Awake - We Avenge! Heroic rise and rightful revenge. A mid paced monotonous chant with revolution in the air." The track can be heard here: https://www.youtube.com/watch?v=PW7mSZwzqgQ.